ITV Studios Global Entertainment (ITVS GE) has appointed Shirley Patton to the newly created position of Head of Publishing within its home entertainment division. She will report to Kevin Morgan, Director of Home Entertainment. Shirley will be responsible for developing and implementing ITVS GE’s publishing strategy, including digital publishing, in the UK and internationally. In this role, she will develop the publishing business from ITV Studios’ output across the key genres of factual, such as Britain’s Secret Treasures and Britain’s Secret Homes; drama such as Mr Selfridge; entertainment and daytime as well as ITVS GE’s film catalogue. Shirley Patton joins ITVS GE from Channel 4 where she worked as a publishing consultant, securing book deals such as the recently published TV tie-ins to Misfits and The Spice Trail. Prior to this, Shirley worked for over 12 years in a number of senior positions within BBC Books, publishing many international and UK bestsellers such as Planet Earth, Rick Stein’s titles, and the BBC Attenborough tie-ins. 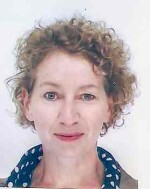 After BBC Books became a joint venture between BBC Worldwide and Random House in 2006, Shirley ran the imprint for six years.